In this weeks video, you’ll be learning how to sell loans on the secondary market. As a unique investment strategy, offering investments for sale on the secondary market is easy and free. 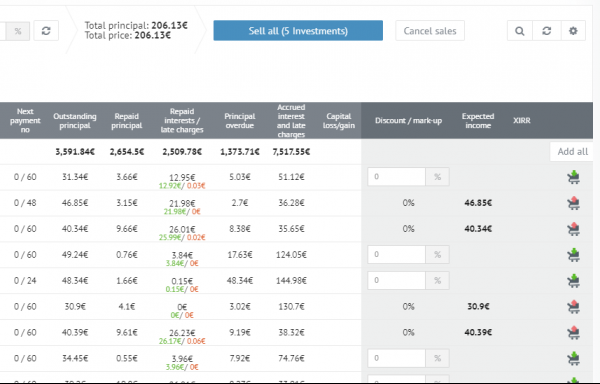 All you need to do is go to “Investments” page from your dashboard menu, identify the loans you want to sell and click the corresponding sales cart to select the loans. Once the loans are added to the cart, click on the “sell all” button at the top of the page. A pop-up will open where you have the options to sell the loans to a specific user or cancel the sales if loan payment is received or rescheduled. 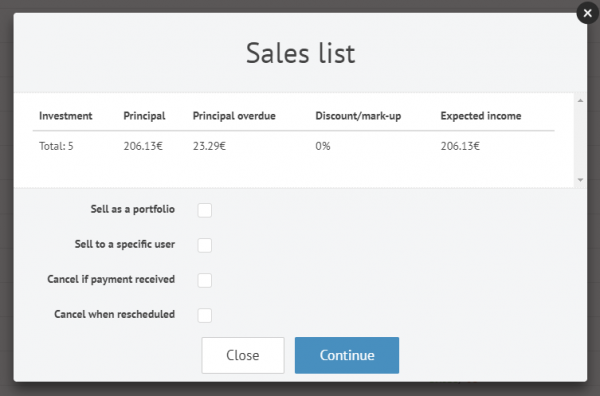 Once you are done selecting options, click continue and sign the sales contract. After that, the loans will appear on the secondary market for other investors to buy.